Yeast ORF Collection. Robust protein expression and purification for over 5500 genes. We have the plasmid library in E. coli. See Open Biosystems for more information and to search for specific clones. Yeast TAP-Fusion Library. Each yeast ORF is tagged with a high-affinity epitope and expressed from its natural chromosomal location. See Open Biosystems for more information and to search for specific clones. Yeast Knock Outs. A unique collection of yeast knock out strains covering 96 percent of the genome. We have the heterozygous diploid knockout strains and the MAT alpha collection. See Open Biosystems for more information and to search for specific clones. HA Tagged Yeast Collection. This collection contains over 2,400 yeast mutagenized strains each producing a single protein with an inserted triple hemagglutinin epitope tag (3xHA). See Open Biosystems for more information and to search for specific clones. See Open Biosystems for more information and to search for specific clones. This C. elegans RNAi collection consists of consists of 16,757 bacterial strains, which cover 87 percent of C. elegans genes. The genes are expressed in E. coli which are fed to C. elegans to achieve knockdown of gene expression. See the MRC Geneservice website for more information and to search for specific clones. *Note, due to Material Transfer Agreement terms, the C. elegans clones are available only to UK investigators. 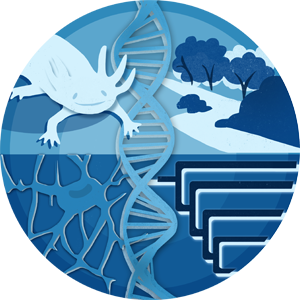 These resources were purchased with funds provided in part or whole by the NSF EPSCoR Initiative in Functional Genomics Award (NSF EPS-0132295). In general, these resources are freely available for academic use by UK investigators. Please contact Brian Rymond (rymond@uky.edu) with any questions obtaining or using these reagents. The items marked with a * were purchased with funds provided in part or whole by the NSF EPSCoR Initiative in Functional Genomics Award (NSF EPS-0132295). In general, the equipment is available for academic use on an “as available” basis. Certain items require operator training prior to use or may be best used on a collaborative basis. Contact Dr. Brian Rymond if you have questions regarding the use of this equipment. Spex CertiPrep 6850 Freezer Mill for difficult to break biological samples (0.5g to 50g)*. To enhance stability, the samples are kept at liquid nitrogen temperatures during breakage. Biospec MiniBeadbeater-96 for cell breakage in 96-well microtiter dish format. Singer Manual Tetrad Dissection workstation*. For yeast genetic analysis.